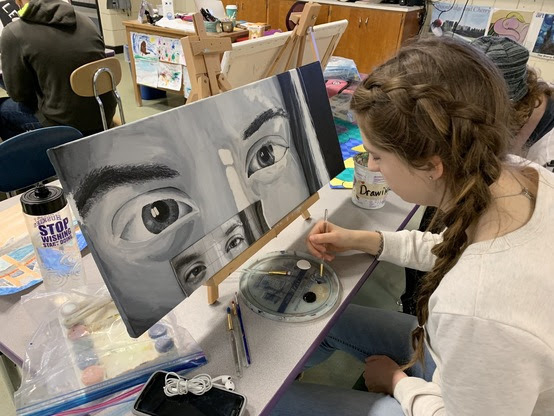 Welcome to the April eNewsletter! 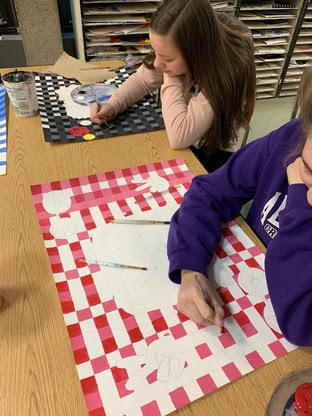 It is April and the students are beginning to realize the end of the year is near. In our class meetings I mentioned to the seniors they only had 28 days of school left, but now is not the time to let up. This time of year brings out many thoughts for seniors. Some are ready to go and begin the next stage in their lives while others are hesitant about what happens next. When you think about it, graduation is the biggest step in their lives so far. It ends the journey of “talking” about what they want to do as adults and puts them into that life in a few months. Most will go onto a post-secondary school while some will go directly into the workforce. Regardless of which path they choose, the common key to success is hard work, good attendance, getting along with others, and the ability to get things done. That is pretty much what school is all about. I have always told students through the years that if you show up every day, get your work done, and do your best, you can’t fail. Our teachers will do whatever they can to help our students get through. When you look at the workplace ,the theme is the same. Employers like the people who demonstrate these traits because they are the keys to success. So as we go into our last month of school I hope all of our students understand the concept that schoolwork is temporary, but the results can be permanent. Please help your child finish this year strong to help build a better foundation for the years to come. 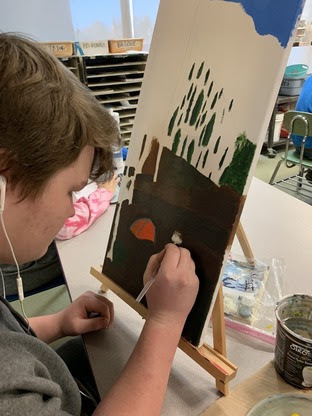 We want all of our students to achieve their goals in life, and we hope they see their education from Albany Area High School as a positive step in that quest. Here are the changes made to the district calendar. May 31 - Last day of school. Early release. 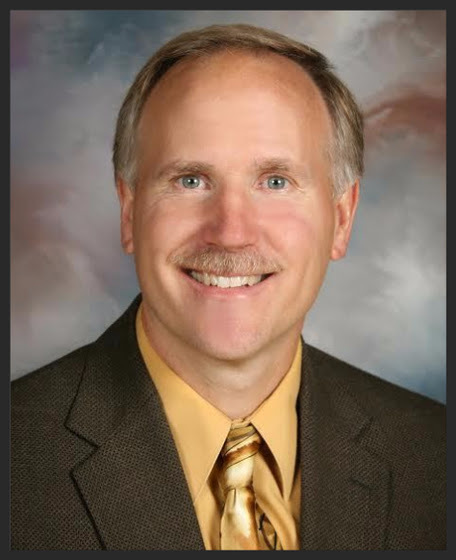 Students dismissed at 12:20 p.m.
Al Amdahl has been advising Mock Trial at Albany Area High School for fifteen years and has had many competitive teams in the past, but a group of eight students did something that no group had done before--win a region final and advance to the State Mock Trial Tournament. This season seniors Hunter Butkowski and Colton Leyk and juniors Makayla Breth, Alexis Studniski, Hannah Finkelson, Jessica Dolan, Bailey Budde and Ben McLachlan did that exactly that. They had a very successful season all the way, doing well in an earlybird scrimmage at Cambridge-Isanti in December, and placing 3rd at the Apollo Invitational defeating Glencoe-Silver Lake and Lakefield. Makayla Breth was named top attorney for the tournament. 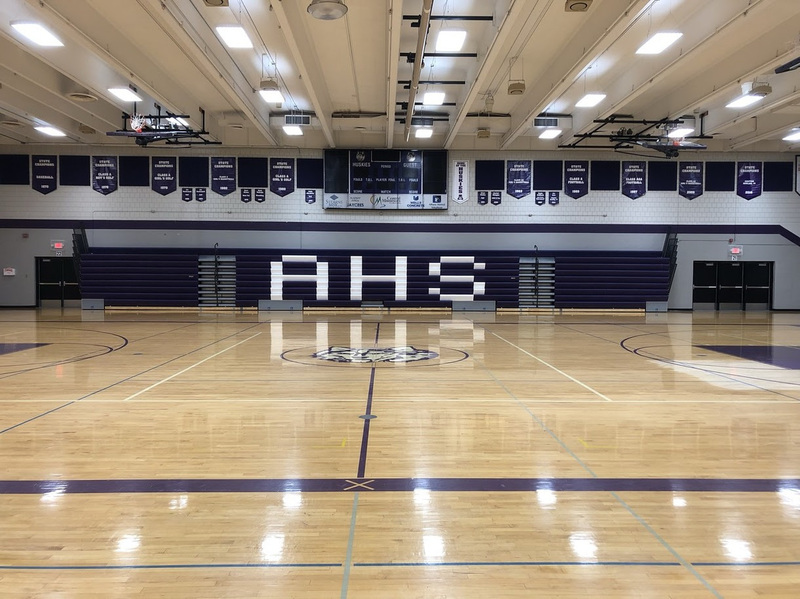 Albany then begin regional round competition with an opening win over Bemidji, defeated Battle Lake in round two and West Central Area in round three. Round four was going to have them go against Albany’s second team, but weather wiped that one out. Albany then would go against Bemidji White in the region final and won in a very close contest 227-224 to make it to state for the first time. 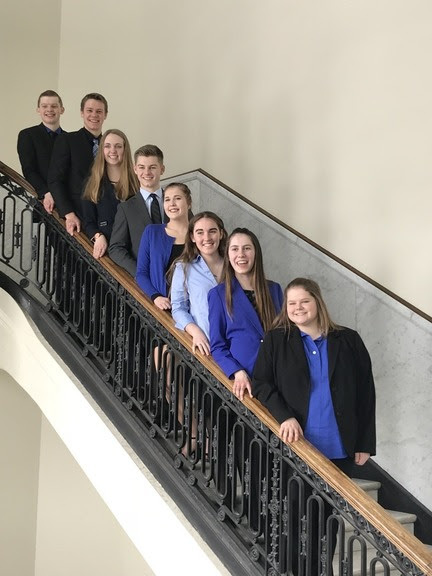 In Duluth Albany was matched up against Visitation Academy and lost in the closest trial at state, winning in the point differential but losing on the judge ballots 2-1. They then faced an outstanding Stillwater team who had been defeated by the eventual state champions in their first round. Stillwater was simply too polished for the Albany squad. Albany next got a change to go against Rochester Century who had been to state each of the previous two years with lots of experience back and they too defeated Albany. 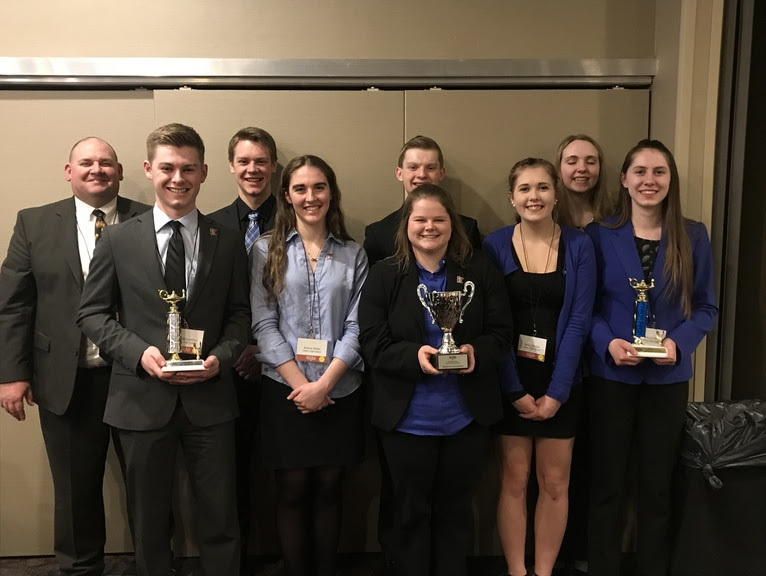 Albany was recognized at the awards lunchon as Region 2 winners, while Ben McLachlan was named outstanding witness and Makayla Breth was named best attorney for the Huskies. Both are juniors and will lead a nice crew of returners who placed 15th in the state tournament. Albany 2nd team was composed of all underclassmen: sophomores Trinity Bauer, Issabelle Haakanson, Isaiah Gerads, Peyton Dirkes; freshmen Kayla Hahn, Cassidy Boeckermann, Marissa Gourde, Emily Breth; and 7th grader Amy Butkowski. They gained a lot of valuable experience through the season first at the Cambridge scrimmage and next at Apollo where they went against a very seasoned Wayzata team and a solid Apollo team. During their three rounds they lost by only three points to Bemidji White who went to region final. They then beat Ashby in round two and lost a very competitive battle with West Central White. Next season should also bring some very good memories with only two seniors graduating, but those two gentlemen (Hunter and Colton) provided some outstanding leadership this past season and will be missed! 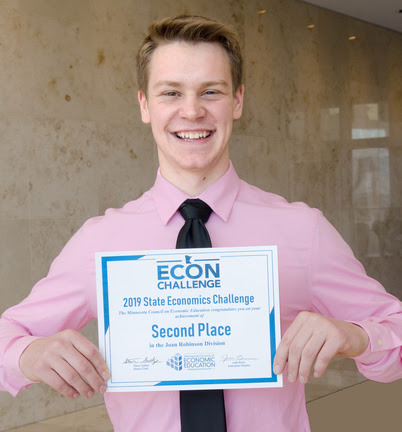 For sixteen years Albany teacher Al Amdahl has been participating in the Minnesota Council on Economics Education’s Economics Challenge and this year four seniors from Albany Area High School represented Albany and the Heartland Region at the State Economics Challenge for the 13th time and the 11th year in a row. 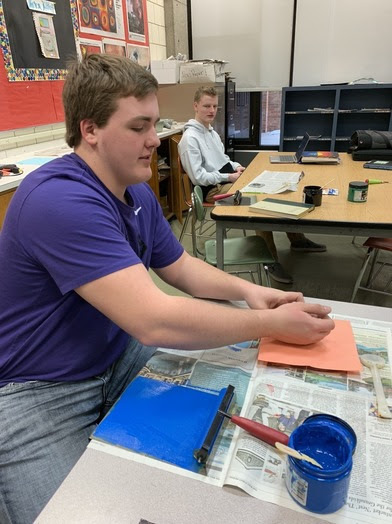 Hunter Butkowski, Colton Leyk, Katie Budde, and Cole Kramer were runners-up this year at the Hearland Regional Challenge, held each March at St. Cloud State University. They were defeated by Melrose High School coached by Albany graduate Adam Rushmeyer, a fellow city councilman with Amdahl, on the final question of the championship round. 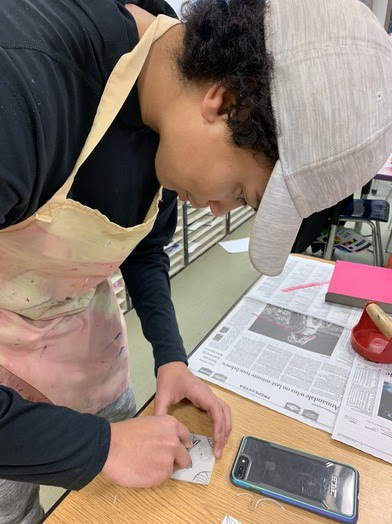 Melrose received the automatic bid while Albany’s scores were good enough to qualify them for the state competition that was held on April 3. The contest consists of three rounds of exams. The first two are individual tests on microeconomics and macroeconomics in which team members take the tests individually and the top three scores are totaled for the team. The third round test is on international economics and current events. This one is taken together as a team and the score is tripled. 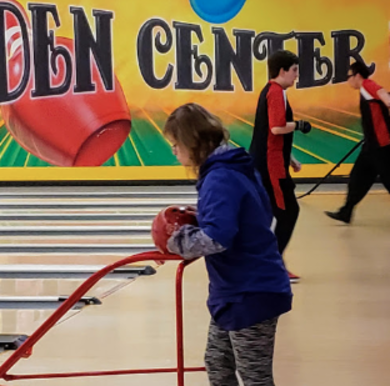 The Albany squad put on their best showing in history with the test scores totally 1000 points in the three rounds – 200 points ahead of their next closest competitor. The top two schools square off in a buzzer round for the final where everyone starts even and 28 questions are asked with a winner determined when they reach a majority or the other team cannot surpass them. The finals would bring a regional rematch as Albany and Melrose were the top two teams in the Joan Robinson division (small school). Albany jumped out to an early lead that they would never relinquish and prevailed 13-8 to repeat as champions and bring home the 5th state title in school history, as well as $200 prize money that they were able to divide up. 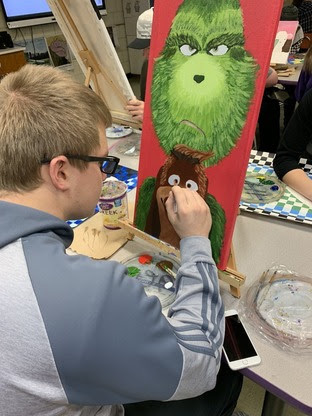 Hunter Butkowski was also awarded 2nd highest individual prize. 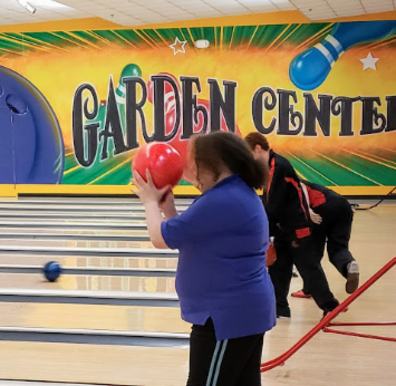 On Tuesday, April 2, the Albany Adaptive Bowling Team traveled to Alexandria for a dual meet with the Alexandria Cardinals at the Garden Center Lanes. 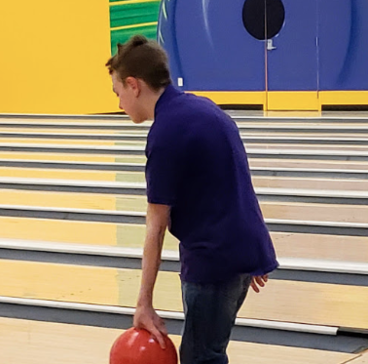 Our high school bowlers were Brandon Ainali, Amidy Beckes, Johanna Hamann, Sierra Kittleson, Blake Rajkowski, and Owen Weiss. The students had a great time competing and were treated to pizza afterward. 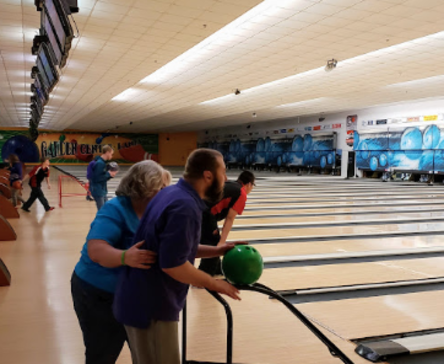 All of our bowlers competed in singles. 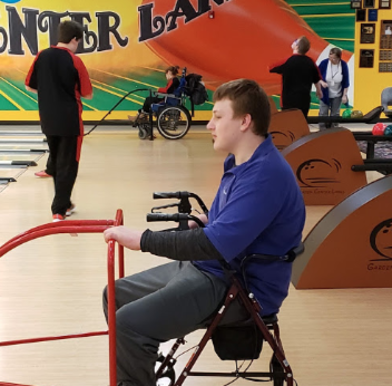 Competing in doubles were Sierra Kittleson (her partner Tristyan Gienger was absent); Blake Rajkowski and his partner Chase Rajkowski; Amidy Berckes and her partner Haley Kerfeld; and Brandon Ainali and his partner Owen Weiss. 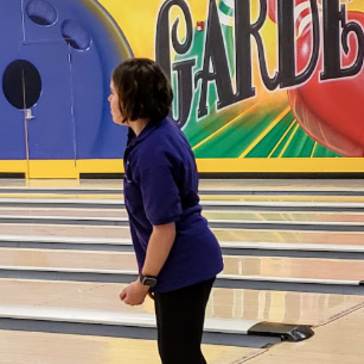 Albany will host the Alexandria team at the Albany Bowling Center on Tuesday, April 16. 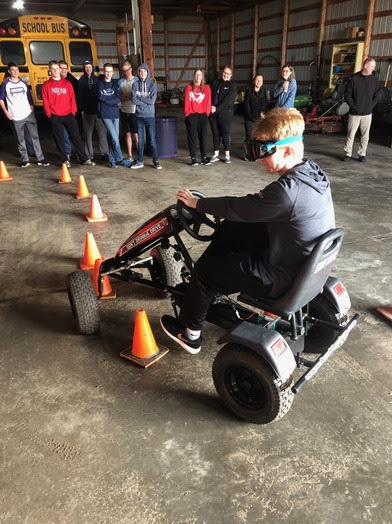 In March Sergeant Gannon gave a presentation to Mr McLachlan's 10th grade health classes on distracted and impaired driving. 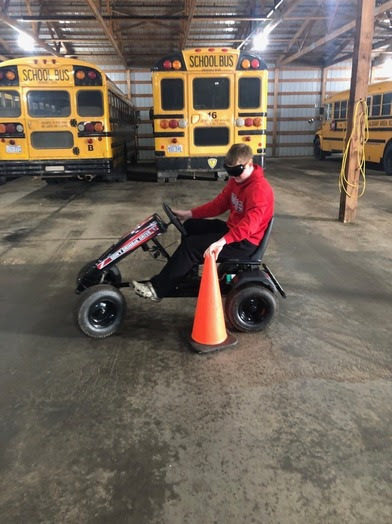 The students were then able to participate in a distracted and simulated impaired driving experience with a pedal cart. 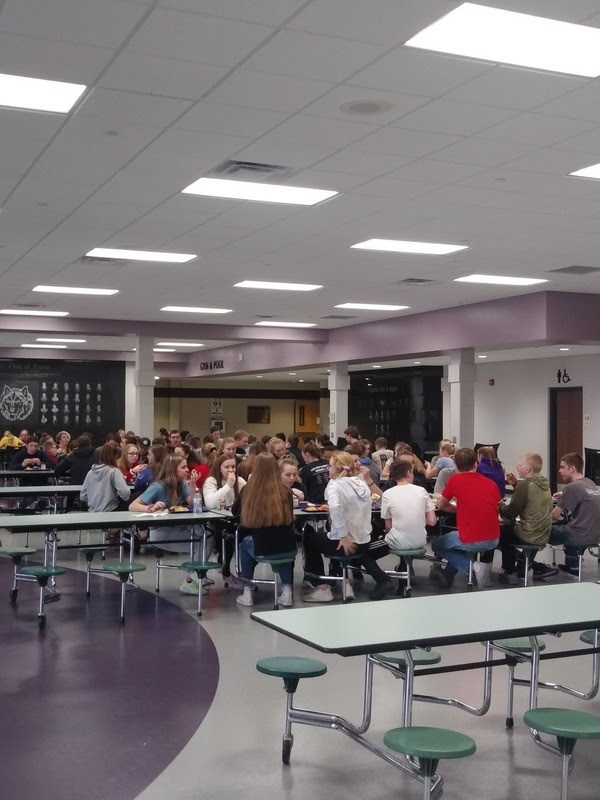 On April 5 Sergeant Gannon and Lieutenant Tom Schmitz of the Minnesota State Patrol gave a presentation to students attending prom about making safe decisions on prom night. They discussed impaired and distracted driving as well as making a plan to get home safely if they chose to drink. 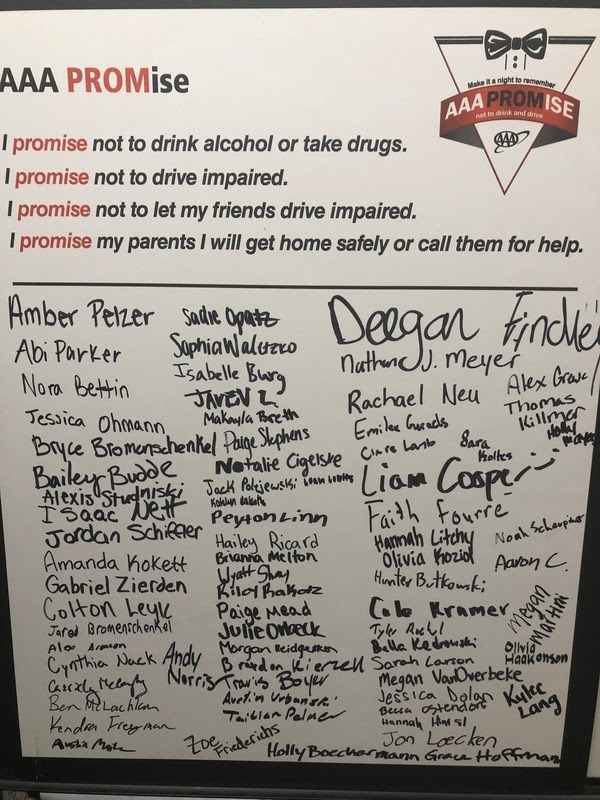 Sergeant Gannon provided information to the students regarding the AAA PROMise where students pledged to not drink on prom night or contact a safe ride home if they ended up drinking. AAA has agreed to tow student vehicles home for free if the student's parents call. 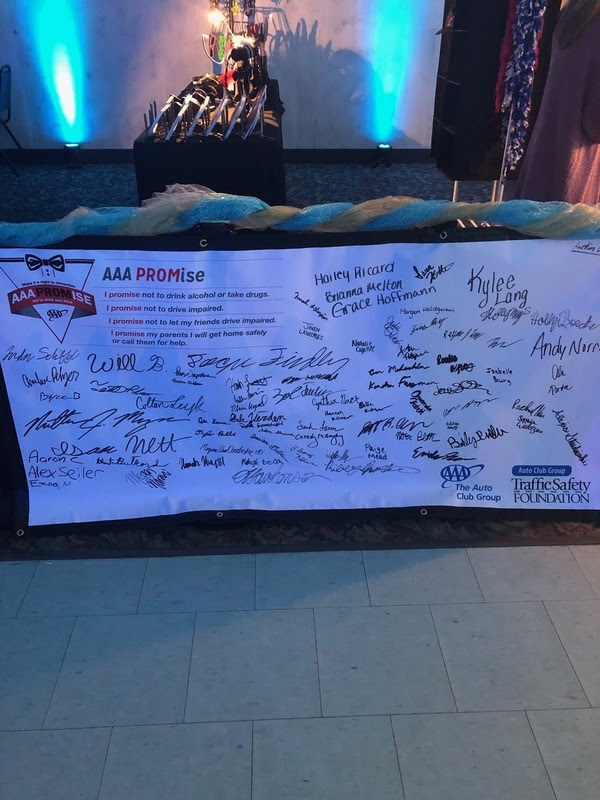 Students were asked to sign a pledge banner which was displayed during the dance. Students that made the pledge were entered into a drawing for prizes. Want your child to get more reading in this summer? Check out the information below for FREE audiobooks through the SYNC program! Some of the titles included this spring/summer are Swing by Kwame Alexander, A Night Divided by Jennifer Nielsen, and Othello. Download the two free titles (using the OverDrive app) each week, and they are yours to keep! Learn more at www.audiobooksync.com. Don't miss out on this great opportunity! Our middle school and high school BOGO book sale is back! Come stock up on summer reads at our BUY ONE, GET ONE FREE Scholastic Book Fair. 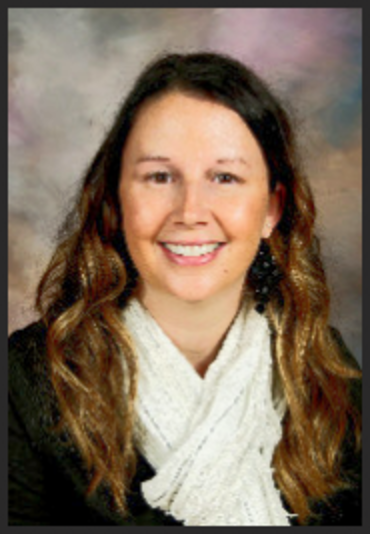 Albany Area Schools values the health and wellness of our staff and students. 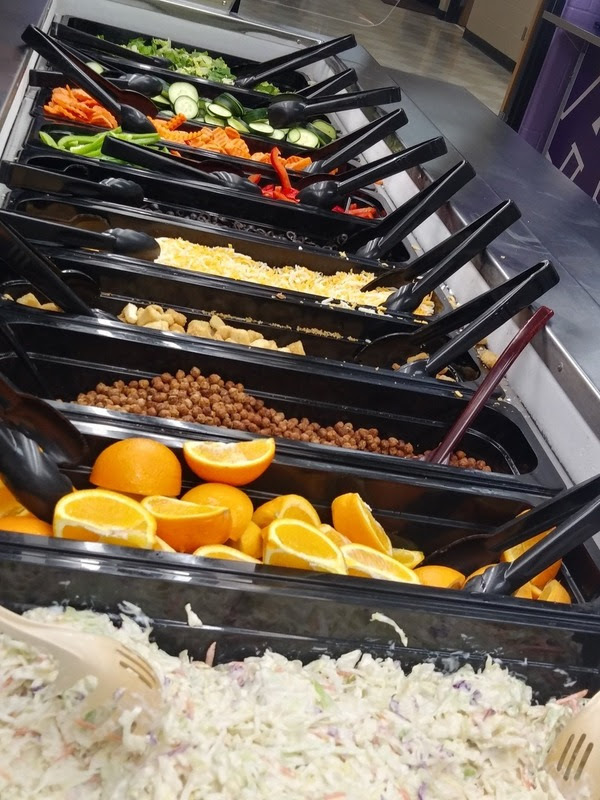 Check out our wellness policy here. Keep watching our Facebook page and newsletters to learn about initiatives that the district takes to help create healthy students! 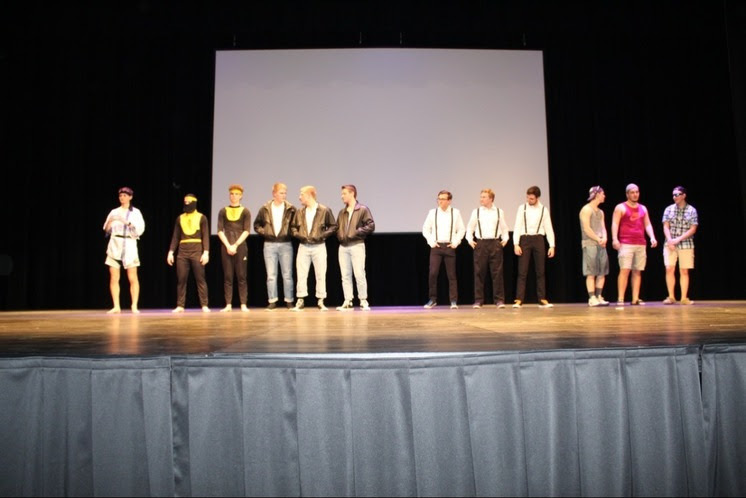 The second annual Mr. Huskie Pageant was held on February 22 after the girls basketball game. It is organized by the National Honor Society, and we were able to raise more than $620. Donations from the night of the pageant and from penny wars have been donated to the families of Adam Young and Nathan Schmidt. 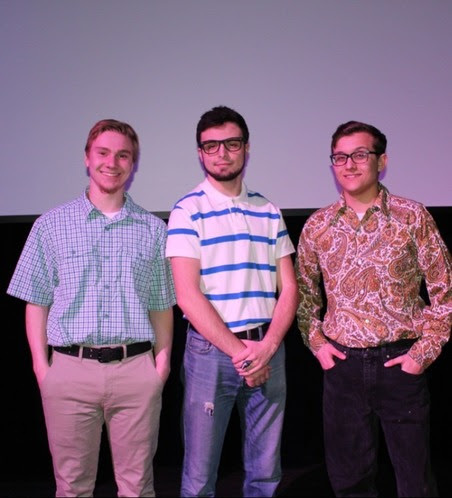 The group winner of the pageant, chosen by three judges, was Jared Dobmeier, Brayden Kierzek, and Austin Urbanski. The winner of Mr. Huskie was Brayden Kierzek. Thank you to all who donated, participated, and assisted in order to make this event possible! It was a complete success! 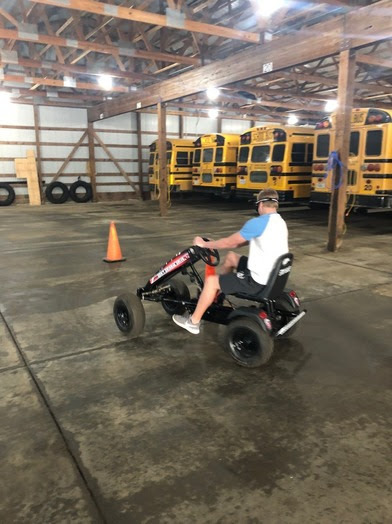 Other teams included Jordan Schiffler, Isaac Nett & Deegan Findley; Adam Winkels, Hunter Butkowski & Gabe Zierden; Colton Leyk, Jared Bromenschenkel & Cole Kramer. 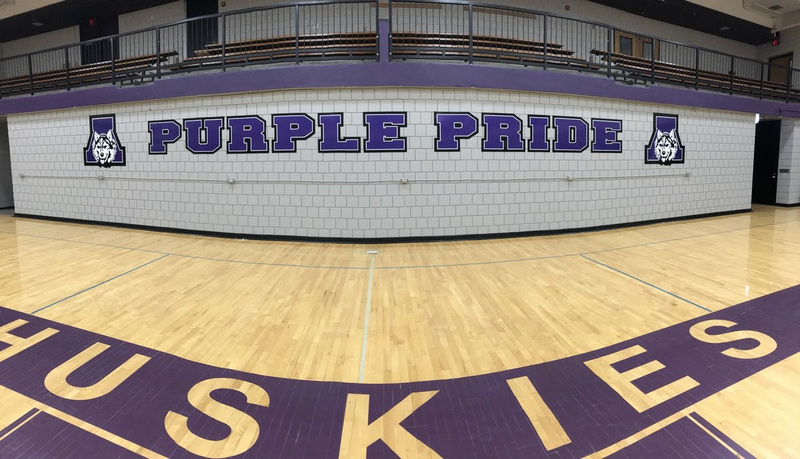 Anywhere you go on our campus, there are signs of Purple Pride throughout the buildings. Check out these new additions to the competition gym. GO HUSKIES! 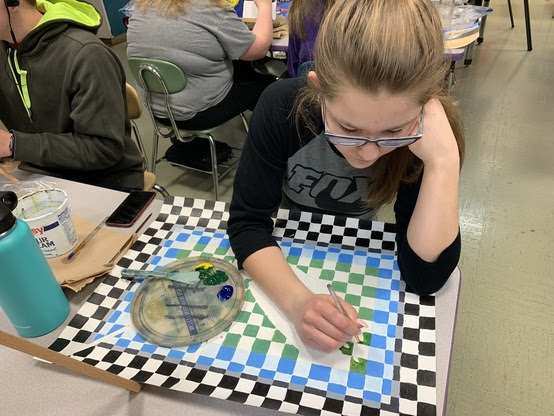 Quarter 3 painting came to a very fast end with students finishing up multiple projects like their choice paintings, quarter projects, water color paintings, and hallway blocks. 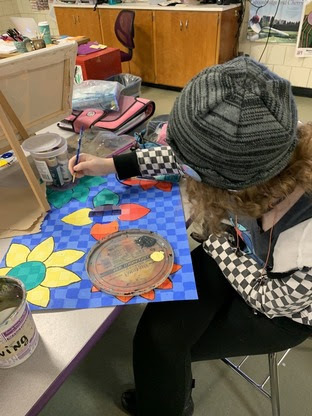 Students learned how to stretch their own canvas for their choice paintings, worked on portraying three-dimensional forms using tins and shades, and various water color techniques to include in their watercolor paintings. 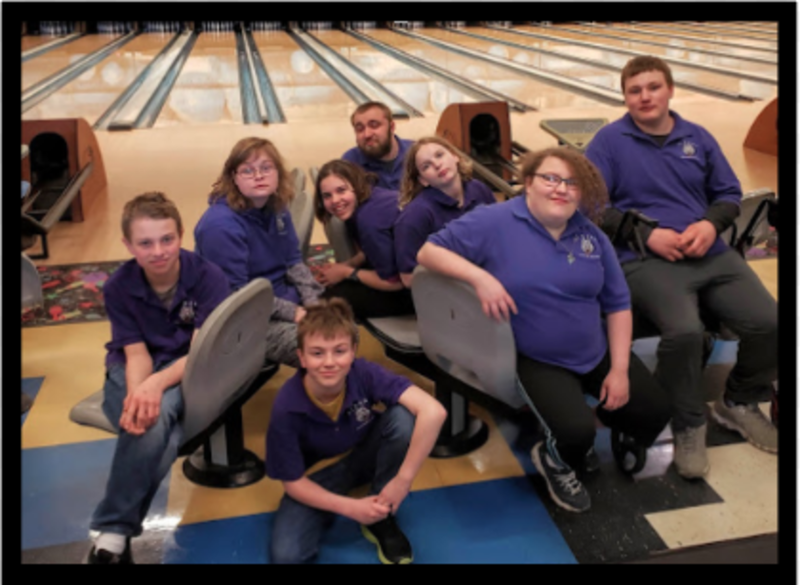 Pictured are Kristine Kalthoff, Abby Wielenberg, Bree Jensen, Grace Rieland, Travis Boyer, Jared Roerick, Caleb Albritton, Adam Winkels, and Mya Snyder. 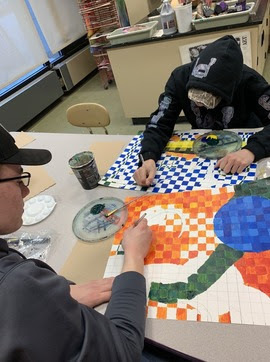 Finished artwork done by Kristine Kalthoff. 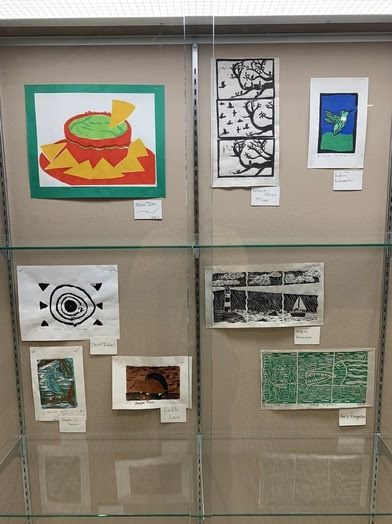 Quarter 3 Printmaking finished off strong! 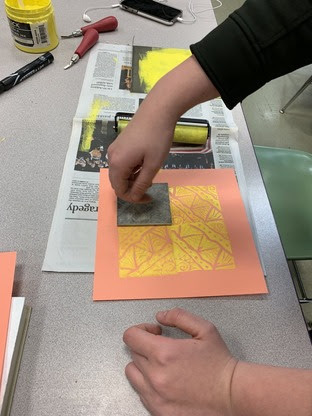 Students learned many different kinds of printmaking methods such as monoprints, collographs, linoleum relief prints, and screen printing. 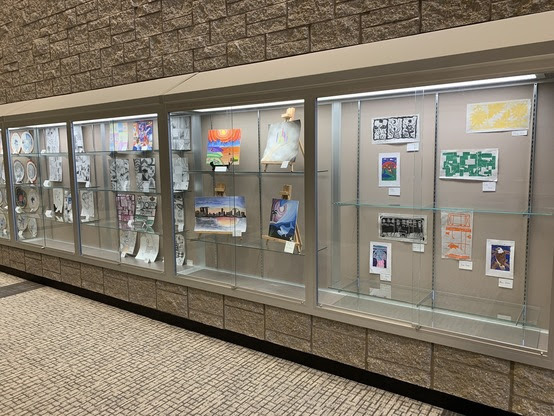 Many were displayed during the Fine Arts Night held on March 18 in the display cases of the BEAT. 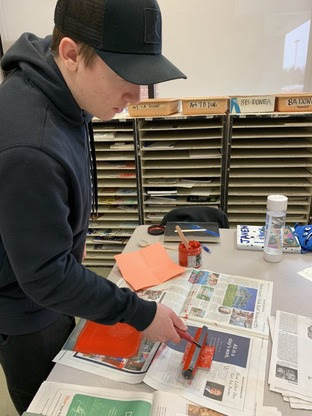 Students pictured were working on their linoleum relief prints. 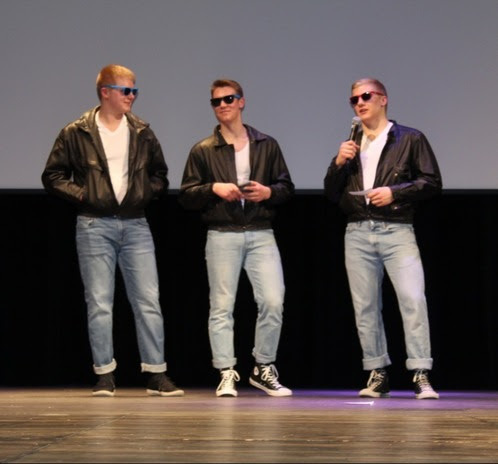 Pictured are Billy Peters, Keandre Toenies, Devin Ritter, and Bailie Dirkes. Have you checked out CAREERwise? It is a great website for students to explore and learn about themselves. You can explore careers, plan your education, and find a job. CAREERwise uses career, interest, and skills assessments. It has information on how to write a cover letter and resume. Also, there is information for exploring colleges, careers, and the job market. Local scholarship winners will be announced at the Senior Awards Banquet on May 15th at 7 p.m.
For a link to the scholarship page on our website, click here. Please let me know if you have any questions or would like to schedule a meeting to discuss your student's career plan. April 22: Snow Makeup Day. Students will be in school. May 3: Full day of school. No longer an early release. May 31: Snow Makeup Day. Students will be in school but it will be an early release at 12:20 p.m.